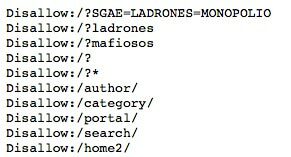 The file robots.txt is included under the root level of the web and its function is to tell search engines the steps to follow when crawling, enabling or disabling access to some parts of the web. But can we use them for something else? Some pages use the file robots to include funny or promotional messages, or event to find talented SEO. 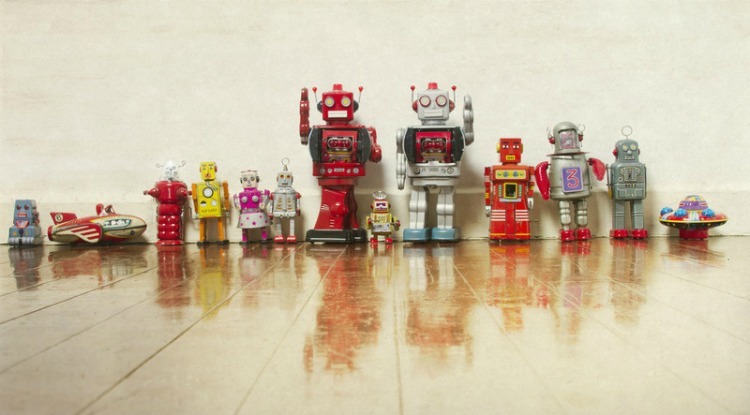 Here we leave you a compilation of the funniest robots.txt files we have found. 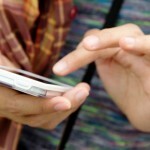 Some sites know how important the robots file is for SEO. Therefore, they use this file to find the best SEO candidates that have voluntarily found or checked this file within their pages. 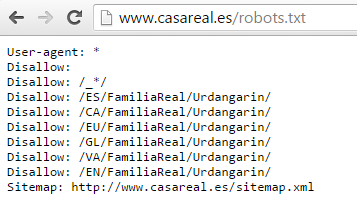 You can read other funny messages like this if you access the file http://www.senormunoz.es/robots.txt (in Spanish). 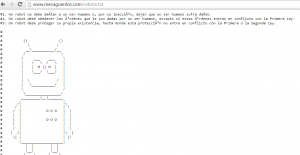 The Spanish copyright association SGAE also blocked content they did not like. 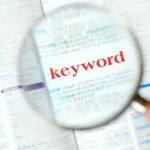 In this case they decided to block everything that related them with the keywords thieves, mafia or monopoly. A very well-known practice is to block those files that are important for a web page but without changing their striking name. 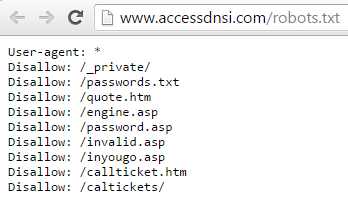 This is what happens with pages such as accessdnsi.com, where you can see that the file /passwords.txt is blocked. But you better go there and have a look. Another such a mistake comes from a Chinese web page that sells subtitles for movies and series that charges around 25 euros per subtitle. But they forgot to change the name of the files blocked in the robots. 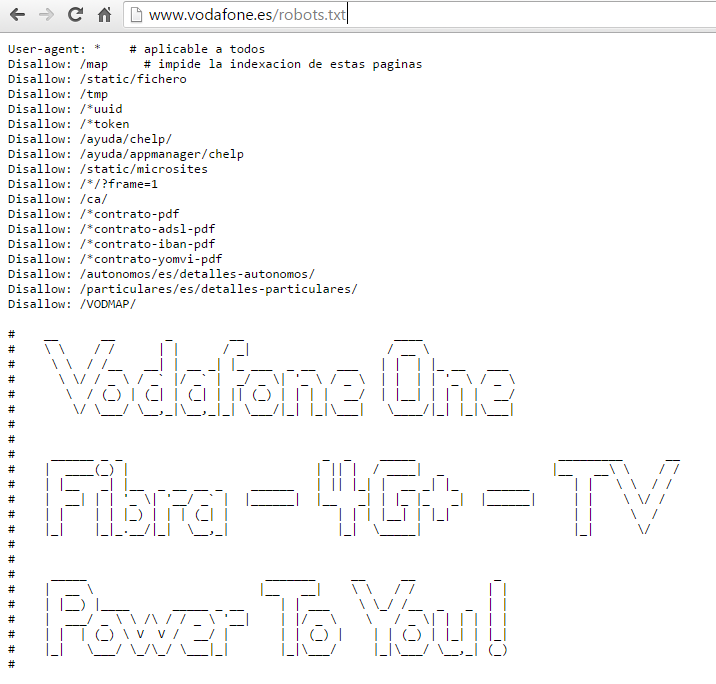 Other web pages use this file to include odd things and get the attention of the users within their robots.txt files. 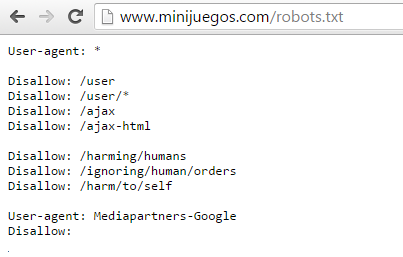 This is the case of web pages such as www.last.fm/robots.txt or www.minijuegos.com/robots.txt that use their robots to refer to the three laws in robotics by Isaac Asimov. 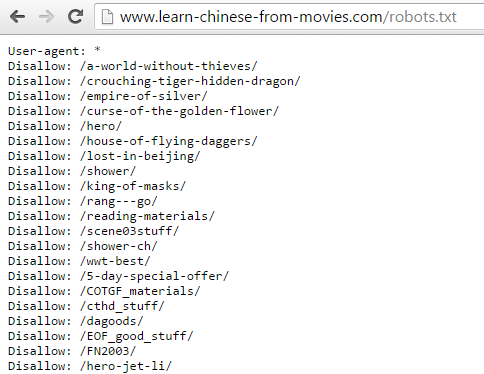 People also comment that before launching a product on the market, Google blocks it on the robots file. 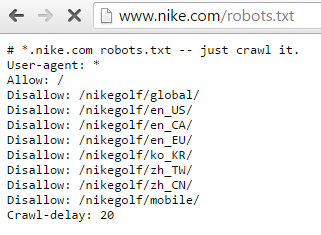 In fact, many fans of Google check Google.com/robots.txt regularly to find new launches. Wikipedia also includes under its robots file funny messages for users. They complain that everybody copies them. The robots file of the web page by our SEO colleague Lino Uruñuela, uses his website mecagoenlos.com to show funny comments and a little robot drawn in the file. 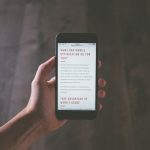 If you know about more funny robots.txt, leave a comment with the link and let your imagination run free to create an original and funny robots file in your own website.